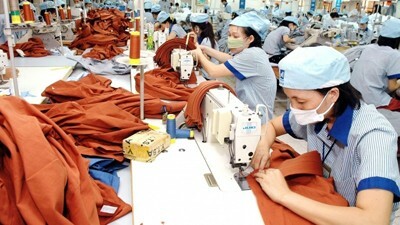 Disbursement of foreign direct investment (FDI) in Vietnam reached US$16 billion in 2017 as of November 20, up 11.9 per cent compared with the same period last year, according to the Foreign Investment Agency (FIA). Official figures show FDI pledges rose by nearly 83 per cent year on year to an estimated US$33 billion, of which US$19.8 billion were committed to approximately 2,300 new projects. Manufacturing remained the largest FDI recipient, accounting for 45.2 per cent of total pledges in the first eleven months of 2017, followed by power generation and distribution at 25.3 per cent and property development at 7.6 per cent. Japan outperformed the Republic of Korea to become the largest foreign investor in Vietnam, pouring a total of US$8.94 billion. Korea fell to the second position with US$8.18 billion, followed by Singapore’s US$4.69 billion. Ho Chi Minh City remained the largest recipient of FDI, attracting US$5.68 billion, while the provinces of Bac Ninh and Thanh Hoa trailed behind with US$3.28 billion and US$3.16 billion respectively. According to the FIA, the foreign sector exported goods, excluding oil, worth US$140.65 billion in the first eleven months of 2017, accounting for 71.2 per cent of Vietnam’s total export revenues. Meanwhile the sector’s imports were estimated at US$114.5 billion, up 23.2 per cent from the previous year and accounting for 60 per cent of Vietnam’s total imports.